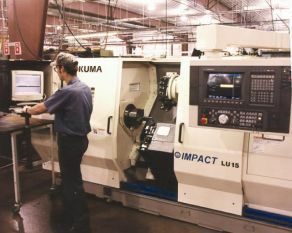 Among TEAM’s many computer numerical controlled (CNC) machining capabilities is CNC turning. Turning is a process whereby a cylindrical rod is held by a rotating spindle, while a cutting tool or “bit” is fed into the workpiece to produce the desired shape. CNC turning can produce shapes with a variety of profiles including plain, taper, contour, fillet and radius, as well as threaded surfaces. More intricate shapes can be accomplished with multiple spindles or axes. CNC turning can also be combined with CNC milling and other processes to make even more diverse shapes. 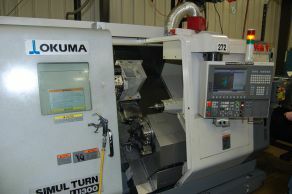 Of course the machines can’t do it all by themselves -- that’s where TEAM’s skilled machinists/CNC programmers come in. They apply their knowledge to the latest software in order to consistently produce the components you want -- with tight tolerances, close concentricities, fine finishes and complex features. For a more detailed and facility-specific listing of TEAM’s CNC turning resources, see TEAM Andrews or TEAM Audubon.